Although the primary purpose of content marketing is not to sell products or services, it can certainly boost conversions and drive sales if done well. Businesses should create content that targets consumers at every stage of the sales funnel, including those who are almost ready to make a purchase. A strategic approach to content marketing can help businesses build credibility, attract the right leads, and turn leads into new customers. Content marketing’s main goal is to educate, inform, and entertain consumers, but it can play an important role at each step of the customer’s journey. By creating content that educates consumers without overtly selling something, a business can establish itself as a knowledgeable resource and earn the reader’s trust. Businesses looking to increase conversion should consider what consumers want to know before committing to a purchase, and then produce interesting content that provides that information. Case studies allow businesses to demonstrate how their product or service solves a common customer pain point – without being overly self-promotional. 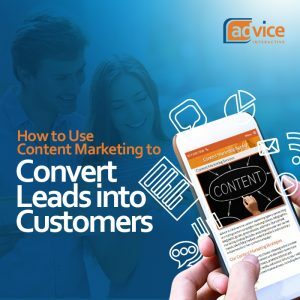 This type of content can be particularly effective for B2B businesses or company’s offering complicated or high-cost services. The more high-risk a purchase appears to consumers, the more time they’ll spend researching before taking the plunge. Well-crafted case studies include statistics and real-life examples that reassure potential customers that they’re making a smart decision. Another consideration when creating high-quality content that converts is which keywords best target consumers nearing the end of the buying cycle. For instance, the term “McKinney plumber” will attract more suitable leads than “McKinney plumbing” – because a search for the former suggests an immediate need to hire a professional, while the latter suggests a casual search for information. Remember that consumer who is just beginning to research the industry is looking for different content than a potential customer who is planning to hire someone today. No matter how well written or persuasive a piece of content is, it won’t convince anyone to make a purchase, register for a service, or request a free demo if there isn’t an easy way for them to do so. Businesses should include firm calls to action at the end of each blog post to encourage consumers to take the next step and become their newest customers. Choose language that suggests a sense of urgency and use a different font size, color, or style to ensure the call to action stands out from the rest of the text.